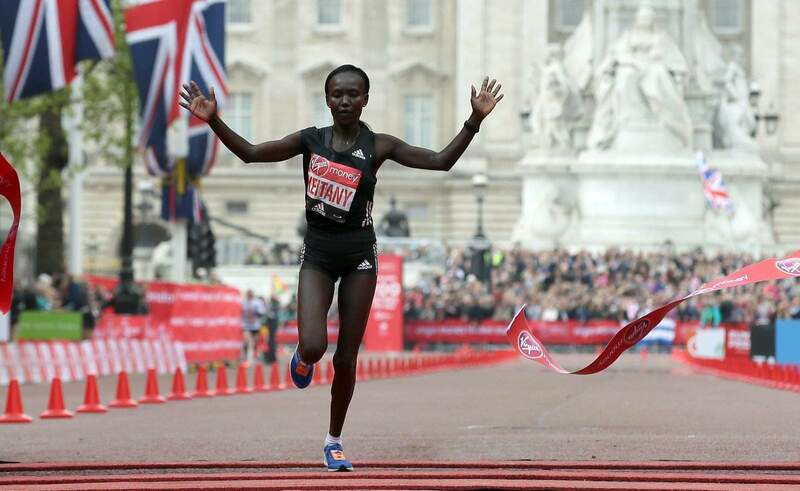 Kenya’s Mary Keitany crosses the finish line to win the London Marathon on Sunday. The 35-year-old Keitany completed the 26.2-mile course in 2 hours, 17 minutes, 1 second to shave 41 seconds off Radcliffe’s 12-year-old mark. Durango’s Laura Thweatt finished sixth in the women’s elite field as the top American. She finished in 2:25:38.